In many schools across the United States, career education is broadening in scope and taking on new forms. While a college degree is still extremely valuable, some students are thinking of innovative ways to navigate to a career, starting in K-12 education. The effects are felt within and beyond traditional Career and Technical Education (CTE) programs. A majority of CTE educators report increasing enrollment in their programs, and even students who intend to go to college are beginning to see the value of building practical work-related skills in high school. Nashville Public Schools, for example, now requires every high school junior in the district to participate in job shadowing, and seniors must complete an internship or service-learning experience. Columbus Municipal School District in eastern Mississippi is going a step further. Families of elementary students choose one of five elementary schools organized around professional themes, providing even younger students exposure to how their learning could one day apply in a career. Superintendent Philip Hickman’s goal is to ensure that students are equipped to take advantage of the job opportunities available to them, noting that S.T.E.M. jobs in Columbus go unfilled every month for lack of a qualified workforce. Even for college-bound students, learning workplace skills is valuable as many students are choosing to work and attend school at the same time after high school. One organization that has been focusing a lot on career readiness is the ACT. Its National Career Readiness Certification allows students in 34 states to demonstrate to employers that they have the skills to succeed in the workplace. Students earn the certification by passing three portions of the WorkKeys test – Applied Mathematics, Reading for Information, and Locating Information. At Hobsons, we are committed to helping all students reach their potential – whether their next step after high school is college or the workforce – or some combination of work and postsecondary school. That’s why we are pleased to introduce a new course to help students prepare for the WorkKeys tests. 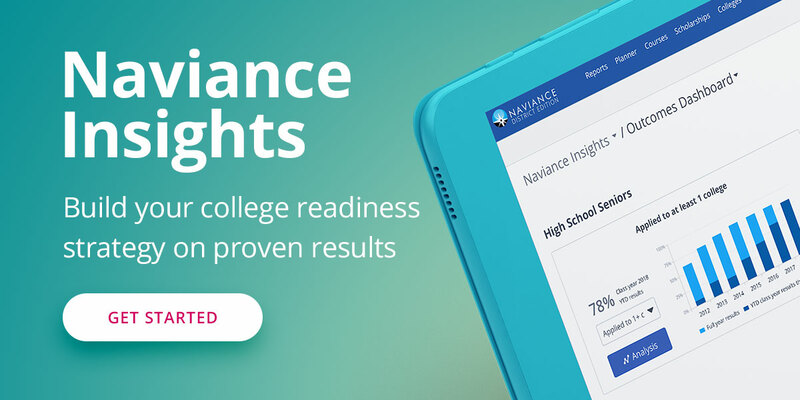 The course in Naviance Test Prep is integrated with Naviance, and it is designed to supplement what students are already learning in the classroom. While core subject coursework may not focus on how to read a floor plan or how to interpret information on an order form, the WorkKeys preparation course will familiarize students with these real-life work scenarios and challenges. Students using Naviance Test Prep’s WorkKeys course also will be better prepared for the WorkKeys test, enabling them to prove their readiness to potential employers. Learn more about the ACT WorkKeys in Naviance Test Prep.